So, NaNoWriMo is just about here. If you don’t know what that is, I’m not going to explain again. You can see my blog post about it here or visit the official site here. I’ve finally decided on the plot, after three or four have been duly considered – I should be fine as long no alien abductions or teenage vampires creep in. They would not fit very well into 1909 North East England. I’ve got together a little kit, including a brand spanking new pencil case. For more ideas on a tool kit, have a read of Catherine Ryan Howard’s post here. I’ve read advice blogs, the best by far of which is here, and gathered my favourite writing advice books together. I have a necklace. That’s it, in the picture. 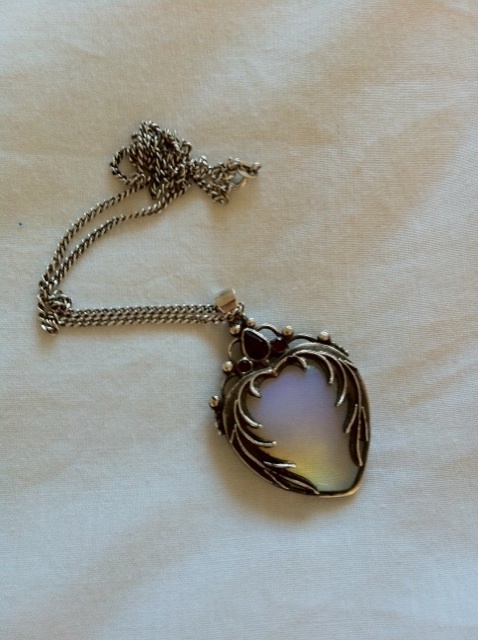 I tend to wear it when I want to feel inspired – not because I think it brings me luck or anything, but because one day I’m fairly sure I’m going to write a story featuring the necklace. It just looks like it should have a story. Like it has magical properties or something. Again, it’s not that I DO think it has magical properties, just that it looks like it should. I look at it, I start imagining a story, and the bit of my brain that fools me into thinking I can tell a story kicks in. I always think writers should have a little quirk. Like a ritual or an possession or some little oddity like a writing hat. Something we can tell the interviewer from The Times when we are on the bestseller’s list for the fourth Christmas running. Something where we can tell our grandkids, “And Grandma always had to have her special necklace/pen/hat/coffee stirred three times anti-clockwise, four times clockwise then blessed with holy water, before she wrote a masterpiece.” And if I’m not on the bestseller’s list four Christmases in a row? I can blame the necklace. Obviously, it just wasn’t magical enough. Anyone else got any oddities they’d like to own up to? I don’t think writers SHOULD have a quirk. I think we have quirks BECAUSE we’re writers. I’m pretty sure you can’t be a writer without being odd or drunk. You disagree?! Whaddya mean, you disagree?! On my blog! *erases all mentions of Mr Uku from post*. Hi – I totally agree about your necklace. It is gorgeous, and there is most definitely a story in there. I see an heirloom and a quest – something ethereal and magic with lots of long floaty dresses, wolves and woods!